Christmas is the most wonderful time of the year – spending time with family and friends and opening gifts, but what’s not so good is the big clean that has to be done before and after the occasion. Cleaning can be a very daunting and stressful task. 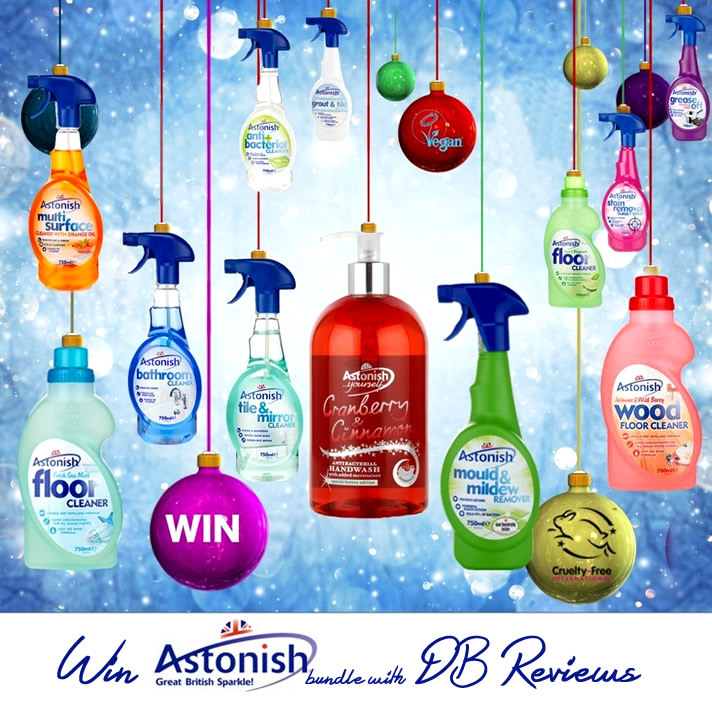 Helping you to take care of the post-Christmas clean up, Astonish has pulled together a seasonal cleaning pack that will leave your home looking clean and bright in no time! Included in the pack is the Cranberry and Cinnamon hand wash that has a lingering aroma to leave you daydreaming of memories from Christmas past, the versatile Oven and Cookware Cleaner and the Grease Off Spray and Wipe to remove stubborn grease build ups. I have tried a number of Astonish products myself and happily recommend them. Their Grout & Tile Restorer and the Oven & Cookware Cleaner are two regulars in my cleaning products shopping list. I also tried the Cranberry & Cinnamon Hand wash and it is lovely - very deliciously scented. Many thanks for the chance. I can definitely recommend astonish Oven & cookware cleaner. You just apply it and leave it to work, then wipe off.